Advocates are hoping a recent endorsement from Gov. Phil Murphy will mean legislation to restore voting rights to New Jersey residents with criminal convictions finally advances. A stream of supporters testified before a state Senate committee Thursday on a bill to expand voting rights to people on probation or parole, and those currently serving sentences. Former inmates no longer on parole or probation can vote in New Jersey. The proposal was introduced early last year but was not acted on for months. Thursday’s hearing came just weeks after Murphy announced his support for the move during his Jan. 15 State of the State address. “Let’s restore voting rights for individuals on probation or parole, so we can further their re-entry into society by allowing them to exercise the most sacred right offered by our society — the right to vote,” Murphy said. It is unclear whether Murphy supports restoring voting rights to current inmates. An email sent to a spokesman was not returned. Just Maine and Vermont now allow those in prison to vote. Although no opponents testified during Thursday’s hearing, some public officials have come out against the idea backed by Murphy and legislative Democrats. According to the Newark-based Institute for Social Justice, more than 94,300 people in New Jersey are on probation, parole, or behind bars. Supporters say criminal convictions should not prevent residents from casting their ballots but also point to racial disparities in the criminal justice system they say are exacerbated by the current voting ban. Black people, 15 percent of New Jersey’s population, make up more than half of those unable to vote because of a criminal conviction, according to Ryan Haygood, Institute for Social Justice president and CEO. 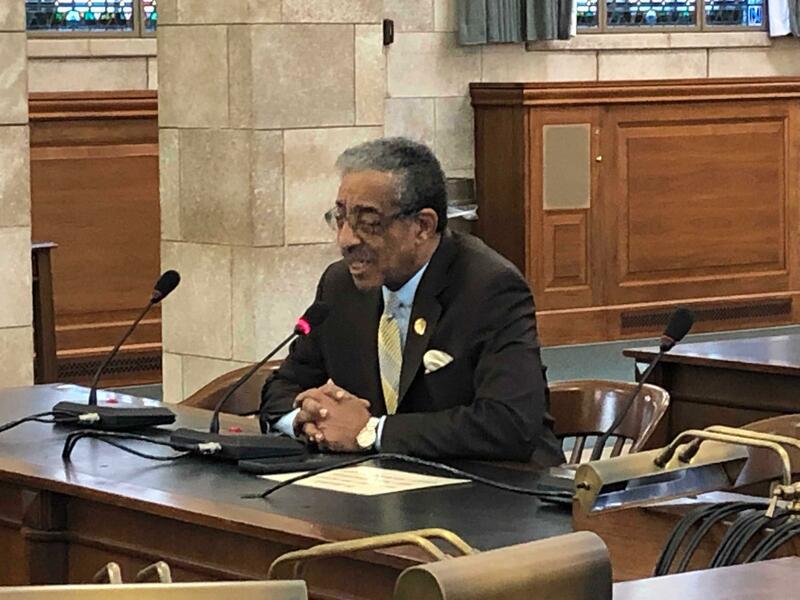 “Because New Jersey connects the right to vote to a criminal justice system characterized by racial disparities that are unjustified, New Jersey literally imports racial discrimination from the criminal justice system into the political process,” Haygood said. The move is part of a national trend of states easing voting restrictions on those convicted of crimes. Florida voters recently approved a ballot measure for people on parole, probation, and in prison to have their voting rights automatically restored after they complete their sentences. Now, criminal justice and voting rights advocates say it is New Jersey’s turn to scrap the voting ban on people with criminal convictions that has been enshrined in the state Constitution since 1844.